John and Sam Kieffer lead the Cat 5 field at the Tour of the Valley. 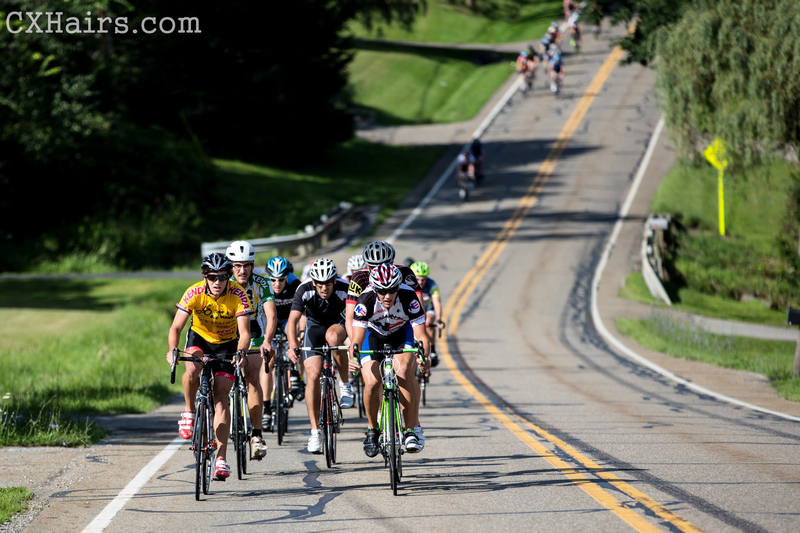 The 2013 Tour of the Valley took place this past weekend in and around Youngstown, Ohio. The three day road race started Friday evening with a time trial at the Mastropietro Winery. For day two, riders faced a grueling road race filled with non-stop rollers. And on the final day, downtown Youngstown hosted a fast flat criterium. We had the opportunity to shoot video from the lead car of the road race. Here’s a look at how the cat 5 race went down. Lots of pretty strong dudes in the field but nobody seemed to want to work together and the pack wasn’t about to let a solo rider go free. At least not during the relatively flat (not really flat) beginning third of the race. Once the climbs started, that all changed, as a pair of young brothers put the hammer down and took over the race. Thank you for this video. It is not only good to show others what the course was like for our juniors to ride (all those rollers! ), but to show our riders the benefit of working together. A difficult concept for teenagers to believe in when their nature is to be competitive. The two riders from Dublin, being brothers, have obviously figured it out well!